People in the UK are now more likely to text than to make a phone call, according to new research from Ofcom. While 58% of people communicated via texts on a daily basis in 2011, only 47% made a daily mobile call, said the country’s communications industry regulator. It said the shift away from traditional ways of keeping in touch was being led by young people aged 16-24. The average UK consumer now sends 50 texts per week while fewer calls are being made on both fixed and mobile phones. For the first time, there was a fall in the volume of mobile calls – by just over 1% – in 2011, while landline calls were down by 10%. UCF-1.01 is about 5,200 miles (8,400 kilometers) wide, making about a quarter the volume of Earth. And with a year that lasts only 1.4 Earth days, the new planet’s orbit takes UCF-1.01 searingly close to its star. Researchers using NASA’s Spitzer Space Telescope essentially stumbled upon the new planet while studying a hot, Neptune-size planet called GJ 436b. This column is focused on “craft” beer, as opposed to the big brands that still dominate beer sales worldwide. The terms “craft beer” and “micro-brew” are sometimes used interchangeably, but they are actually distinct from one another. Micro-breweries produce less than 15,000 barrels of beer per year, while craft beer can be produced by breweries of much greater size. So what exactly is “craft beer?” The Brewer’s Association (the trade group for craft brewers) offers their own definition. They say a craft brewer must be small, independent, and traditional. By small, they mean annual beer production of no more than two million barrels of beer—Boston Beer, maker of Samuel Adams, is teetering on the brink of this limit and has about a one percent share of the U.S. beer market. Many local brewers produce less than a thousand barrels a year. By independent, they mean that no more than twenty-five percent of the brewery can be owned by a big brewery like A-B, Miller, or Coors (the Big Three). Traditional is the hardest to pin down, as they state a traditional brewer is one that has “an all malt flagship” or which uses “adjuncts to enhance rather than lighten flavor”—a subjective matter. That’s a dig at the Big Three who use adjuncts (corn or rice) to lighten body and flavor and increase mass appeal. Craft brewers currently provide an estimated 103,585 jobs in the U.S.
Growth of the craft brewing industry in 2011 was 13% by volume and 15% by dollars compared to growth in 2010 of 12% by volume and 15% by dollars. The craft brewing sales share in 2011 was 5.7% by volume and 9.1% by dollars. Craft brewer retail dollar value in 2011 was an estimated $8.7 billion, up from $7.6 billion in 2010. 1,940 craft breweries operated for some or all of 2011, comprised of 1,063 brewpubs, 789 microbreweries and 88 regional craft breweries. And, if you live in Southern California, San Diego has 46 craft brewers for you to try out and 9 more opening this year. Get your drink on. 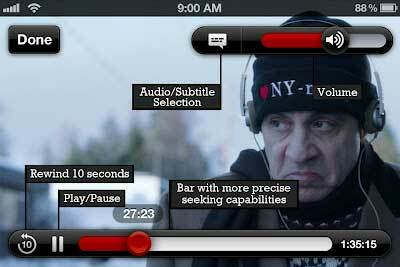 We are happy to announce the release of our new video player for iPad, iPhone, and iPod Touch. Stay tuned for similar updates to our App for Android.